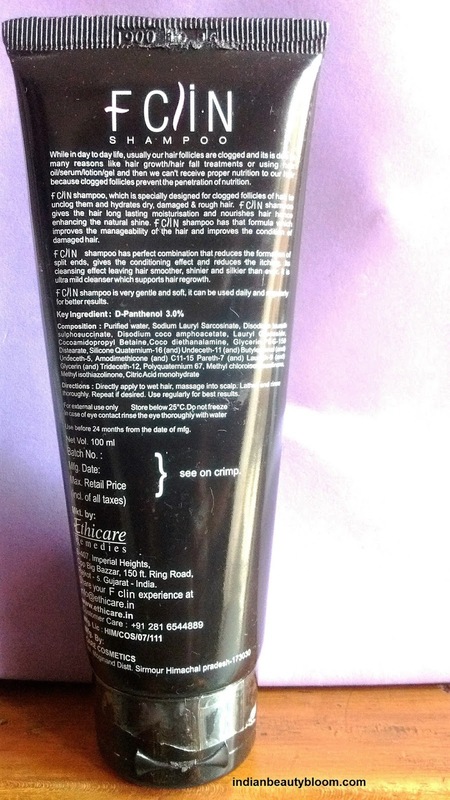 Today I am going to review a shampoo from brand Ethicare Remedies . Review of Fclin Shampoo – a SLS & Paraben free product. 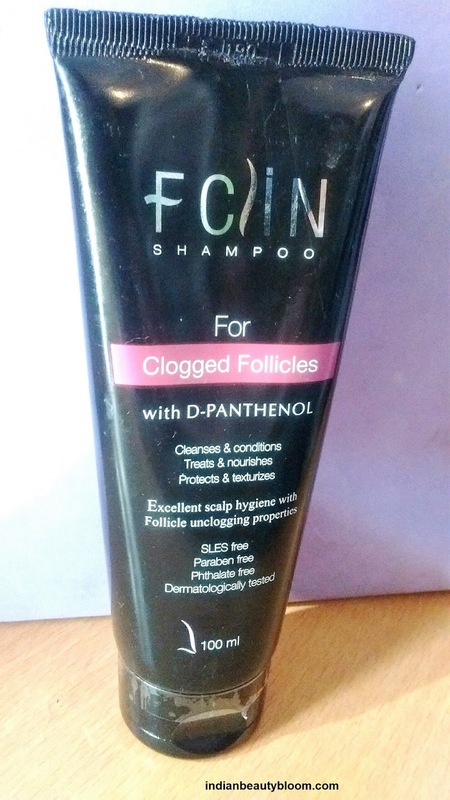 Fclin shampoo is a mild shampoo which is SLS , Paraben , Pthalates free product . It is specially designed for clogged follicles of hairs , as it unclogs the follicles and hydrates the dry , damaged hairs . It reduces the formation of split ends , Nourishes and Conditions the hairs . Product packaging is good , the shampoo comes in a tube from which small amount of it can be easily squeezed out and used . The shampoo is in form of colorless liquid , its bit runny in consistency , so one needs to be careful while taking out or else more amount of it will come out . 1. Does not contains harmful chemicals like Parabens , Pthalates , SLS etc . 2. Dermatologically tested product , suitable for all hair type . 3. It Unclogs the clogged pores . 4. Thoroughly cleanses the scalp and hair . 5. Make the hair soft and Silky . 6 . Product Packaging is good . 8. Clean and conditions the dry and damaged hairs . 9. It can be used in any season . 10 . Helps to control Frizz . 11. It reduces the formation of split ends . I am using this shampoo and I really liked it too much . 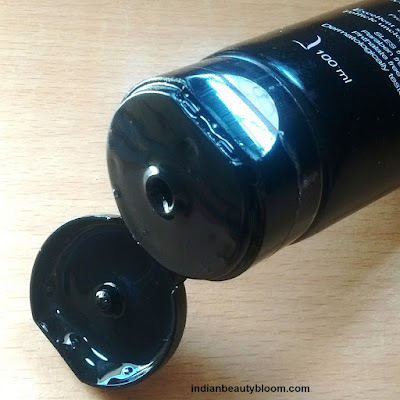 Because of winter , I was having lots of hair problems like dandruff , dry & rough hairs etc . After using this shampoo , my hairs are looking better than before . After the first wash itself I felt the difference , dandruff was reduced a lot and my scalp looked more clean as compared to when I was using shampoo from other brand . The texture of hair also seemed better than before . Would definitely Recommend this Shampoo to others specially for those who are facing dandruff problems .